With the world’s second-biggest proven reserves of oil, Saudi Arabia seems an unlikely aspirant to the nuclear-energy club. Yet the largest oil exporter plans to build at least 16 nuclear reactors over the next 25 years at a cost of more than $80 billion. The Saudis see atomic energy as a way to ease their dependence on finite fossil fuels. But they are also driven by competition with their rival Iran, which has multiple nuclear facilities. Whatever the motivation, the turn to nuclear power by Saudi Arabia, and several other countries in Middle East, raises the risk of a nuclear arms race in the most unstable part of the world. What’s the security risk? Most nuclear reactors are fueled with enriched uranium, which means countries that want nuclear power must either import the stuff or have their own enrichment capability. Saudi Arabia is insisting on the latter, which could be worrisome, given that highly enriched uranium can be used to build nuclear weapons. Another type of reactor is powered by raw uranium, which Saudi Arabia possesses, but that type produces plutonium, another fuel for nuclear arms. Why does Saudi Arabia want nuclear power now? Much of the government’s plan for the future, called Vision 2030, is based on diversifying the Saudi economy to prepare for the day when oil and natural gas wells run dry. At the same time, electricity demand in the country has risen by as much as 9 percent a year since 2000, compared with less than 1 percent in developed countries such as the U.
, according to Bloomberg New Energy Finance. Water desalination is a large draw on power in Saudi Arabia. Why nuclear power instead of just renewables? Solar energy would seem like a good option for Saudi Arabia, and the kingdom has plans to develop 9. 5 gigawatts of solar and other renewables by 2023. The abundance of sunshine there would make solar much cheaper than nuclear power. Under recent contracts awarded in the region, electricity from solar power costs about $30 per megawatt hour, less than half the costs of nuclear power, according to Bloomberg New Energy Finance. On the other hand, solar power requires either battery installations, to store energy, or alternative power sources, for when the sun isn’t shining. And solar doesn’t have the prestige of nuclear power, which demonstrates a certain level of scientific achievement. Does Saudi Arabia want nuclear weapons? In an interview with the U.
television network CBS aired in mid-March, Mohammed bin Salman, the Saudi crown prince who effectively runs the country for his father King Salman, said, “Saudi Arabia doesn’t want to own a nuclear bomb. But without a doubt, if Iran develops a nuclear bomb, we will follow suit as soon as possible. Is Iran developing a nuclear bomb? 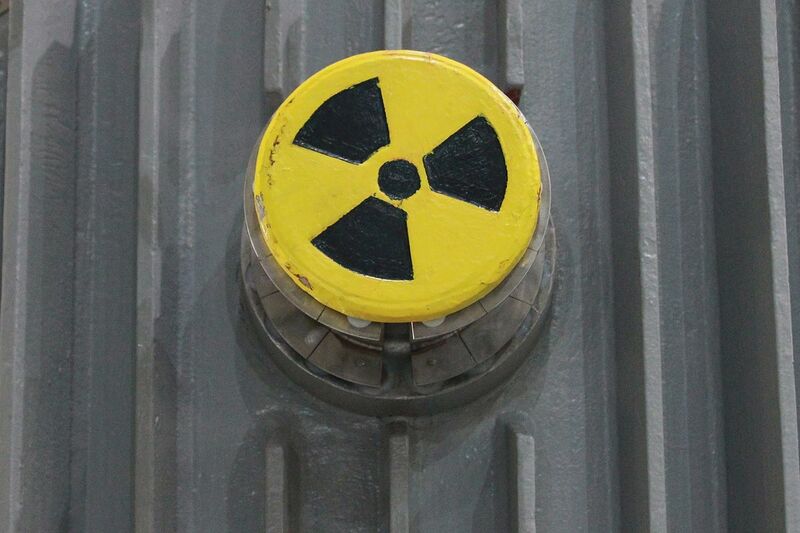 Though Iran has consistently denied any interest in pursuing atomic weapons, its uranium-enrichment practices contributed to deep mistrust in the past. In a 2015 deal with world powers -- including the U.
under President Donald Trump’s predecessor -- Iran agreed, in exchange for the lifting of international sanctions, to decommission its plutonium-producing reactor and to limit its refining of uranium to no more than the level needed to fuel power plants. The Saudis have embraced Trump’s efforts to upend that agreement. The president argues that the Iranians can’t be trusted to abide by the deal and that, in any case, they will be free to pursue nuclear weapons when it expires after 15 years. What’s the problem between Iran and Saudi Arabia? The two are vying for dominance in the Middle East. Their forces and proxies are arrayed against each other in the civil wars in Syria and Yemen. Each purports to lead the Islamic world, Saudi Arabia because of its role as the custodian of the holy places Mecca and Medina, Iran because of its Islamic revolution of 1979. The majority of Saudis follow the dominant Sunni branch of Islam, while most Iranians are Shiites. The rivalry has intensified with the rise of Prince Mohammed, who is particularly hawkish when it comes to Iran. What happens next? The Trump administration, eager to revive the torpid American nuclear industry, is pushing Saudi Arabia to consider U.
companies -- such as Westinghouse Electric Co.
-- for its nuclear contracts instead of competitors from Russia, China and other countries. is reluctant to offer the Saudis deals without a prohibition on any uranium enrichment or fuel reprocessing in-country. The United Arab Emirates, a Saudi ally, agreed to that so-called "gold standard" a decade ago to facilitate the inclusion of some U.
parts in its four Korean-built reactors, the first of which is expected to go online this year. What do the Saudis say? They note that, unlike the U.
, Saudi Arabia has large uranium deposits and wants to be self-sufficient in the preparation of nuclear fuel. Saudis point out that Iran is permitted under the 2015 accord to enrich uranium for peaceful purposes and say they want the same right. Who else in the region is going nuclear? The U.
is set to become the first Arab nation with utility-scale nuclear power when it starts operating its plants, estimated to cost $25 billion. is a major oil producer, it relies on imported gas to generate much of its electricity. Egypt, the most populous Arab nation, has signed a $30 billion deal with Russia’s Rosatom to build four nuclear plants. And Jordan, which has negligible energy resources, has signed construction deals with Rosatom and U. -based X-Energy in a program that could cost as much as $12 billion, according to Bloomberg New Energy Finance. While no Arab nation is known to have a nuclear arsenal, Israel, which began operating a plutonium-production reactor in 1963, possesses enough material for between 100 and 170 atomic weapons, according to an estimate by the Washington-based Carnegie Endowment for International Peace. Israel has never acknowledged having nuclear arms.